Good communication can make and keep you big! Experience Years of translation experience: 11. Registered at ProZ.com: Sep 2007. Became a member: Feb 2012. 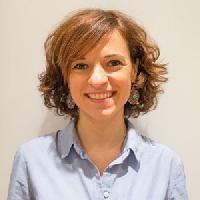 Professional practices Chiara Gavasso endorses ProZ.com's Professional Guidelines (v1.1). A qualified freelance translator and interpreter, with hands-on experience in marketing and communications.